We carry out installation, servicing and repairs of commercial boilers (over 70kw) as well as water heaters, warm air heaters, radiant heaters and plaque heaters. We handle all access requirements including scissor lifts and cherry pickers, and we take health and safety extremely seriously so as not to endanger your staff or anyone else. We also offer annual service plans for your premises so you can be sure that your place of work is only operating safe and well maintained appliances. You can outsource all of your mechanical installation to us. We’ll work strictly to your consultants drawings and install all mechanical plant in preparation for system commissioning. Whether it’s threaded steel, copper, ABS or PVCu plastic, press fit or anything else, we have the pipe fitting expertise to bring your project together. 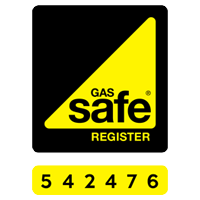 We hold the full TCP1 qualification so we can test gas pipework of any size. If you have a major gas pipework installation in need of commissioning, give us a call.